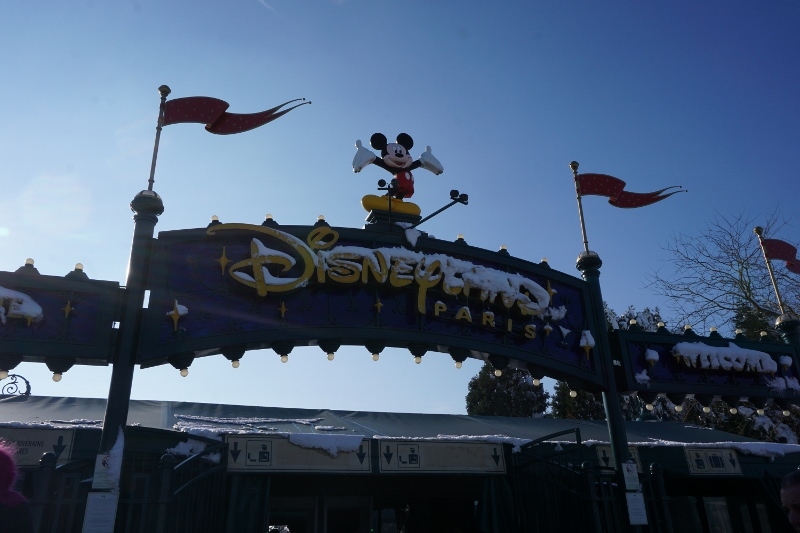 As for my trip to Disneyland Paris, I was really suffering with bad weather. 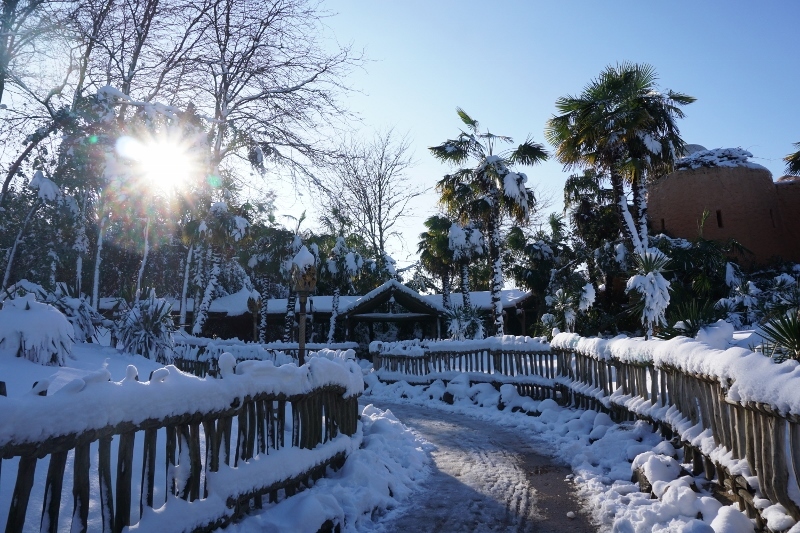 However I may have been lucky on the other hand, because I could see the parks in snow. 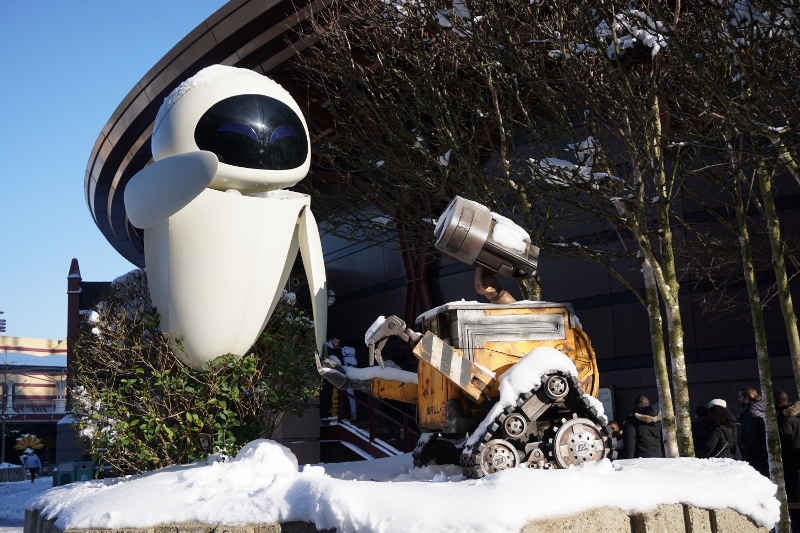 I would like to report some pictures of snowy parks. 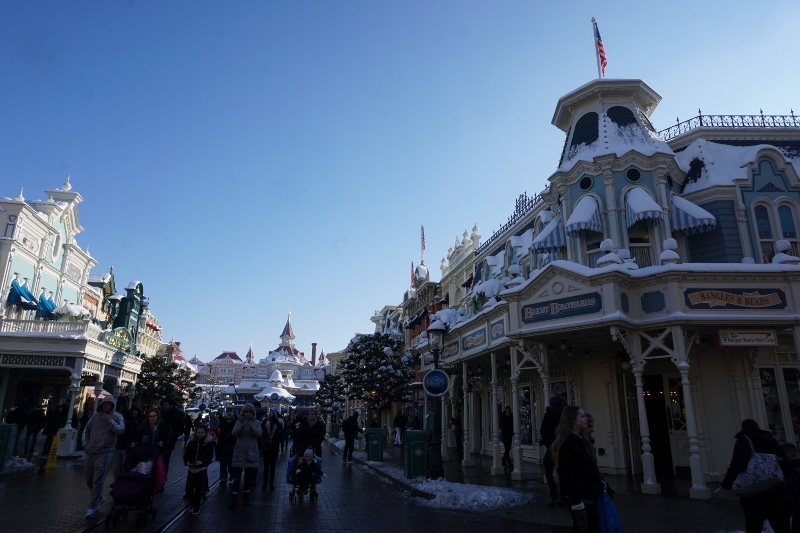 When I got there, it was Thursday February 8th, it already became sunny day. 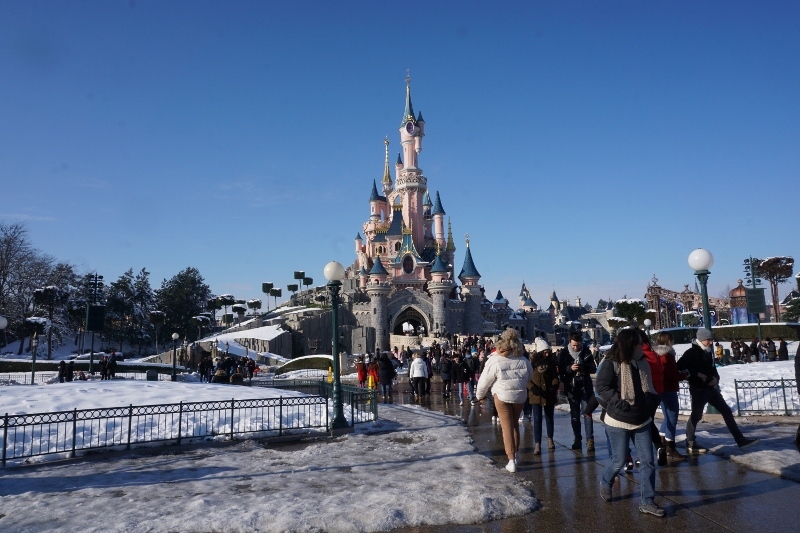 There was big snow on Wednesday. 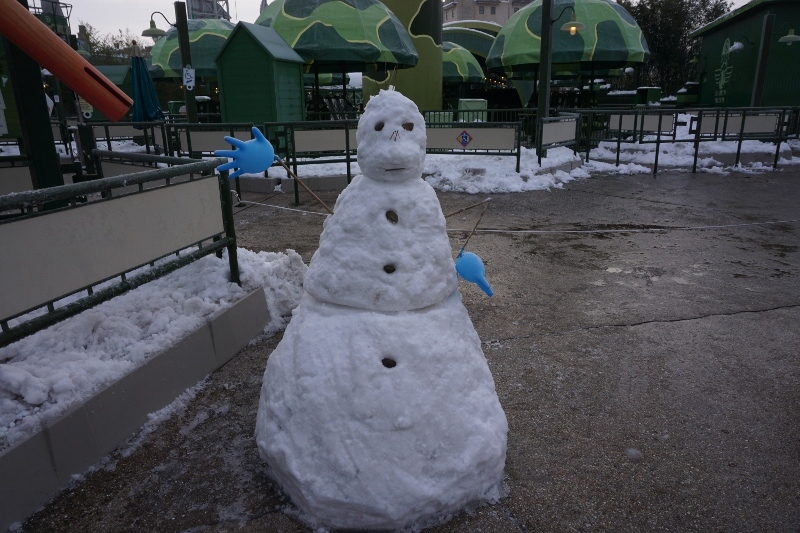 The park gate was covered with snow, and Mickey Mouse shaped planting in front of Disneyland Hotel was also in white. 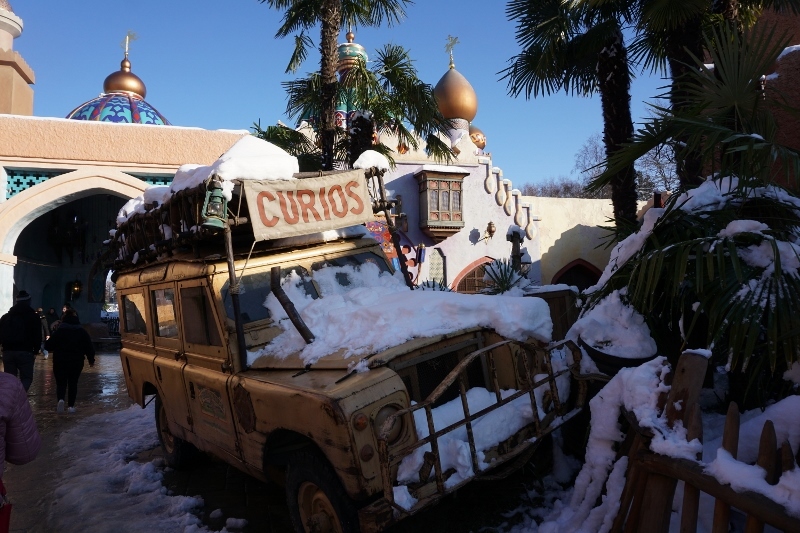 There still was snow on the roof, but it was removed around the parade way. 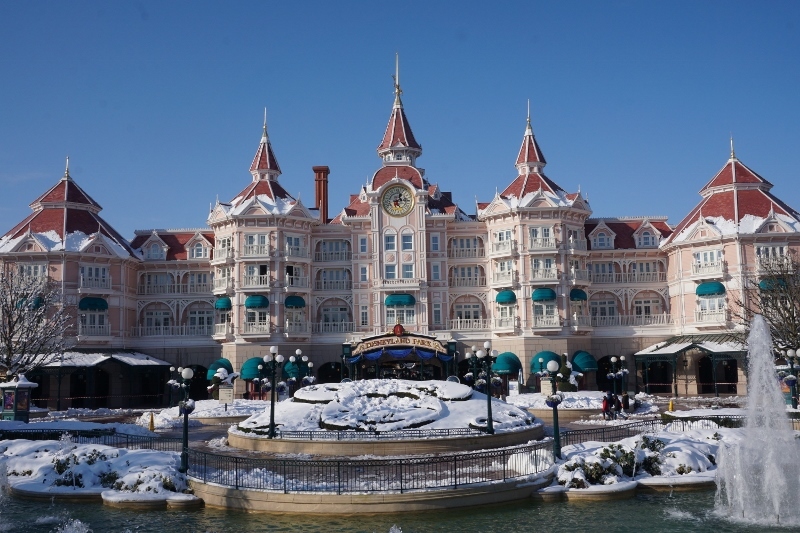 The castle, as it has very sharp roof, was not covered with snow. 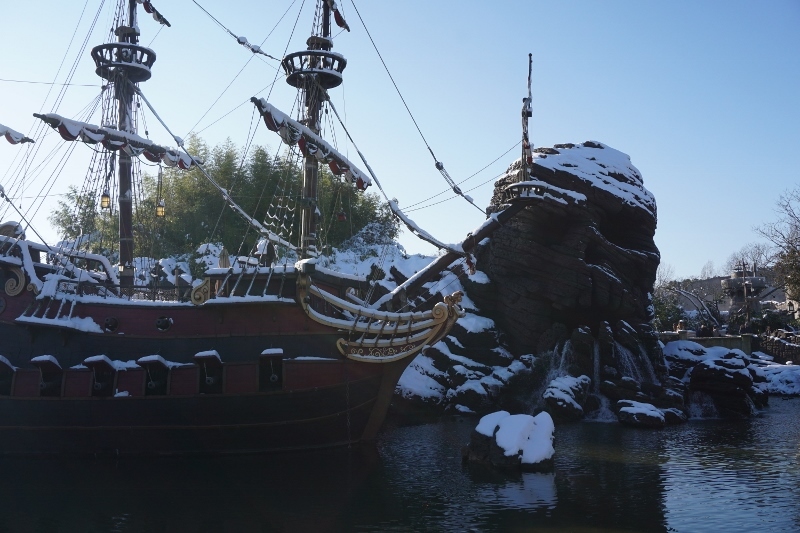 The pirates ship was with snow, and Agrabah town was in snow. Pathways in shade were totally white. 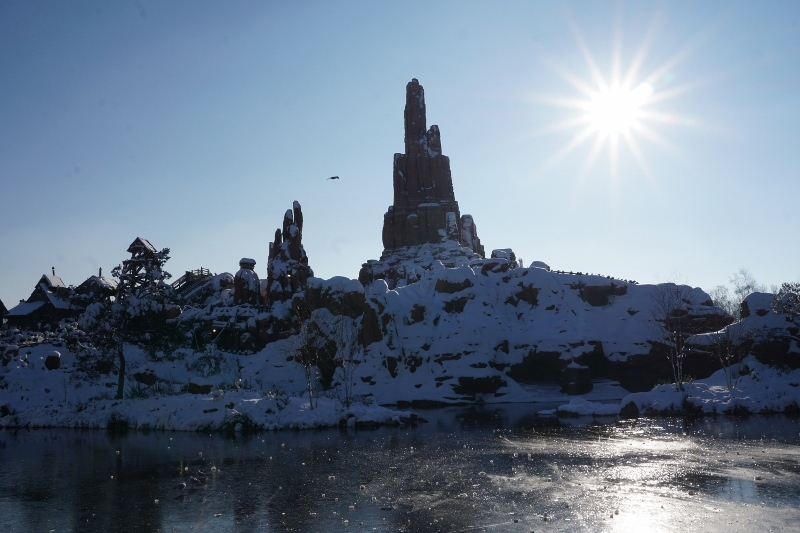 Big Thunder Mountain was also in snow,. I was surprised. 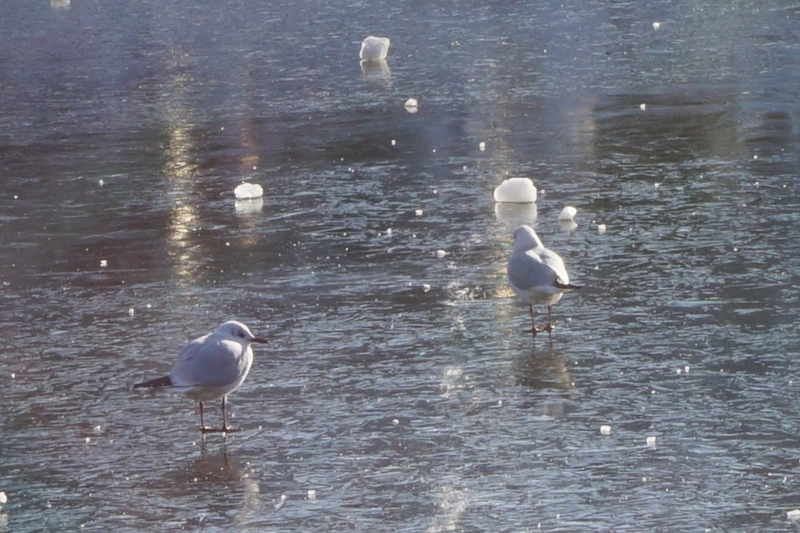 The lake in front of it was covered with ice, and some birds were walking on it. 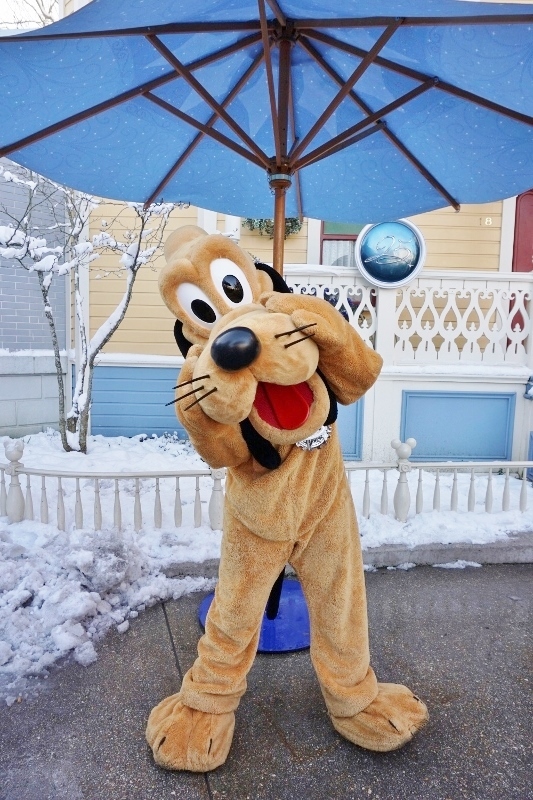 Even though cold day, Pluto was really cheerful. He was in greeting session. 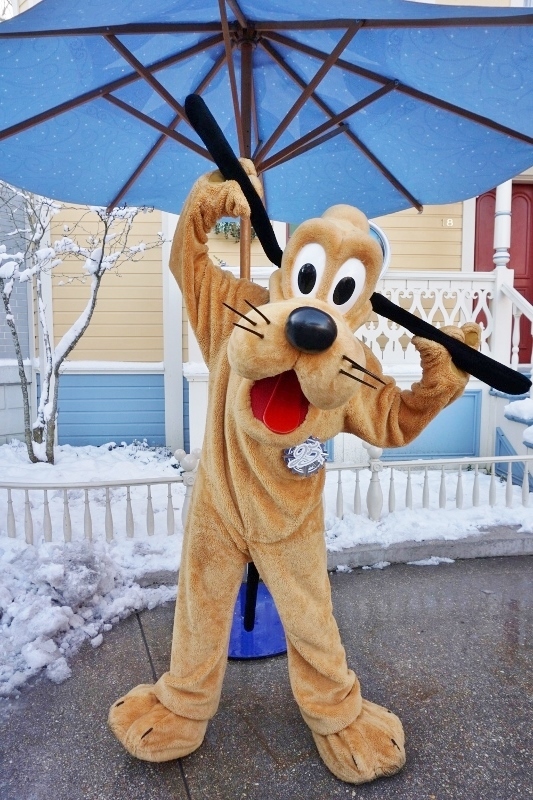 Look at his collar! It is 25 years anniversary model.